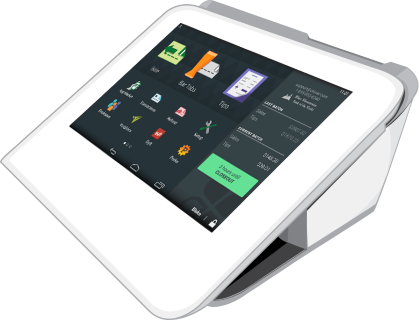 The Clover™ POS system allows any merchant to run a full featured point of sale system on a custom android tablet at a fraction of the cost of traditional POS systems. 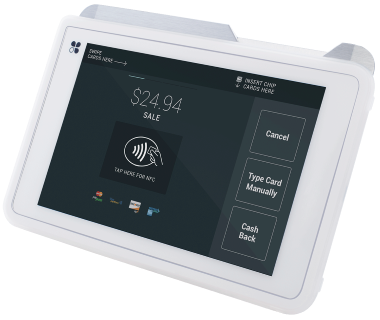 Clover POS is easily programmable for a variety of retail businesses and restaurants and offers the ability to accept normal credit and debit cards as well as EMV and NFC payments such as Apple Pay. 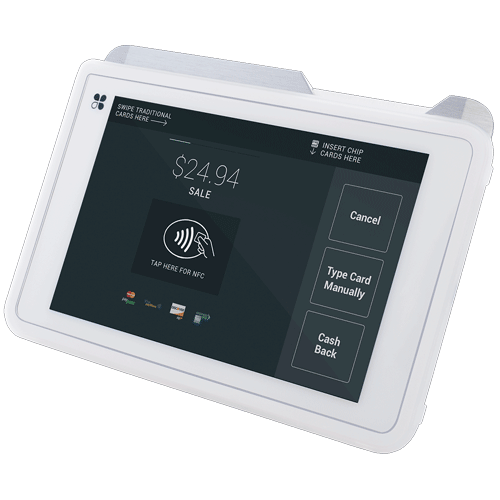 To keep startup costs down, affordable leasing options are available for Clover POS systems and peripherals starting at $49.95 per month for a full featured system including printer and cash drawer. 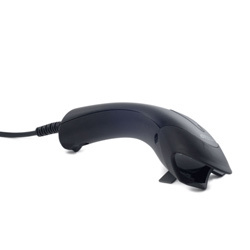 Full featured point of sale system. 3rd party apps, available through an easy to use app store. 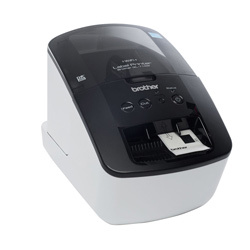 Supports mag readers, barcode scanners, cash drawers, scales, printers, and more. Clover is the perfect POS for small and medium size retail locations and restaurants. 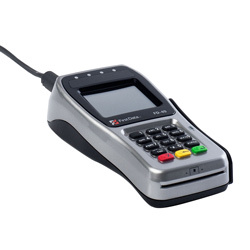 It's a fast, fresh, alternative to many of the bloated and extremely expensive legacy POS systems out there. Clover is used by thousands of merchants in the US and Canada. Get started with your own POS system today. 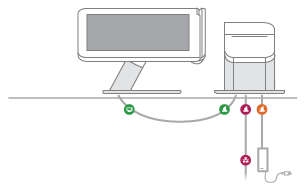 Multiple clover stations with the option of additional kitchen printers and clover mobile tablets for table-side ordering and payments as needed. 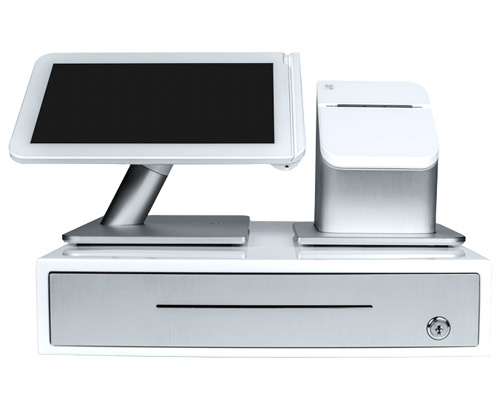 Multiple clover stations with kitchen printers, and optional clover mobile tablets for table-side ordering and payment. Waiters can take payments and make orders directly at the table, saving time from having the return to a central payment source. 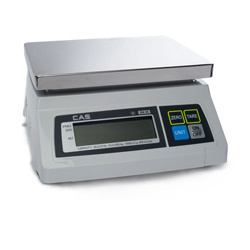 Clover stations depending on checkout lanes, and optional integrated weight scales, and clover mobile tablets for inventory management or personalized customer shopping experiences. 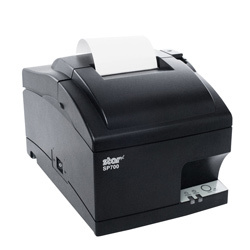 Clover is an easy to setup, all-in-one POS system that includes a cash drawer and printer. Clover can be upgraded by adding additional stations, receipt printers, barcode scanners, or mobile clover tablets for table-side ordering and inventory management. 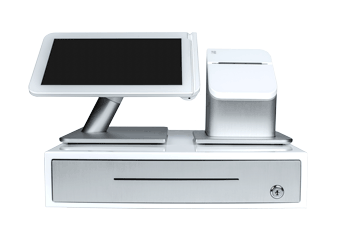 Clover POS stations are made from brushed aluminum and shatter resistant glass for great looks and long term durability. While Clover is a low cost POS solution, leasing is available for clover POS systems and components. Get started today.